A well-painted roof exhibits freshness and charm. This new paint look adds value to the house and looks very attractive. Weather extremities over time make the roof materials wither and leave the surface vulnerable to the development of fungus and moss. All this can be hazardous to health and at the same time pose a threat to the whole structure. Getting the roof painted can increase the life of the roof and make your abode look as good as new. It is not as simple as if one can climb atop with a canister of paint and use his/her favorite color on the roof tiles and the job is done. Painting a roof is much more than getting the roof smeared in a coat of paint. The first and the foremost task which is required to start with the roof painting is to undertake a thorough cleaning with a pressure jet. For roofs which have built up of moss and other infectant chemical cleaning is very much required. Experts with the right knowledge can accomplish the task in an effective manner and you should be satisfied with the result you get. Identification of structural anomalies goes second. Once painted these defects can get hidden and then crop up later spoiling the paint quality. A good professional company makes sure to identify and correct these defects before actually starting the work. All kind of deformities should be mended and covered before applying the layer of paint coat. 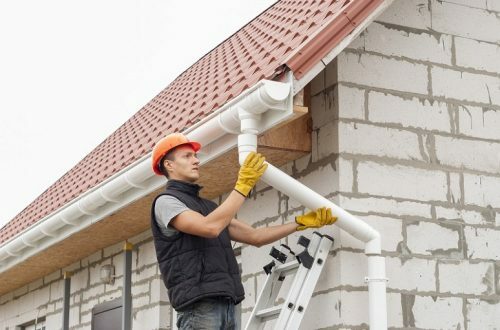 After the base is ready, the expert workman will suggest good quality paints which are weather resistant and then two coats of this paint will be applied for a lasting and remarkable result. The understanding of appropriate gestation between roof cleaning and painting is essential as it helps in effective application of paint which will last longer. Since this task is not as easy as it looks and requires specific knowledge, it is thus of prime significance to contact a professional roof painting company for a hard-wearing and cost effective job. You have to be very careful while choosing the right professional to get the job done perfectly without giving trouble to your pocket. What to look for in a roof painting company? Experience is what counts the most in this trade. If the company has stood the test of time and has undertaken a number of projects, this shows people trust them and the works man have a lot of field knowledge. They should be well equipped with all the necessary state of art equipment’s which will be needed during the roof painting process. Whether it is spray painting machines, clean up devices, hydro jets or instruments for roof repair all should be available along with serviceman who knows how to use them well. The inspection of the roof before the painting actually starts is what ensures that the work will be of supreme quality. The service firm which you are entrusting for your painting job should thus have the rightly trained inspection experts. A set of knowledgeable individuals at work who put quality first will not rush up the work and make sure that they undertake each process in the most appropriate manner. Finally gauging the economic aspect is very crucial. Taking quotes from various companies comparing it with their levels of professionalism and proficiency and then making the final decision pays. 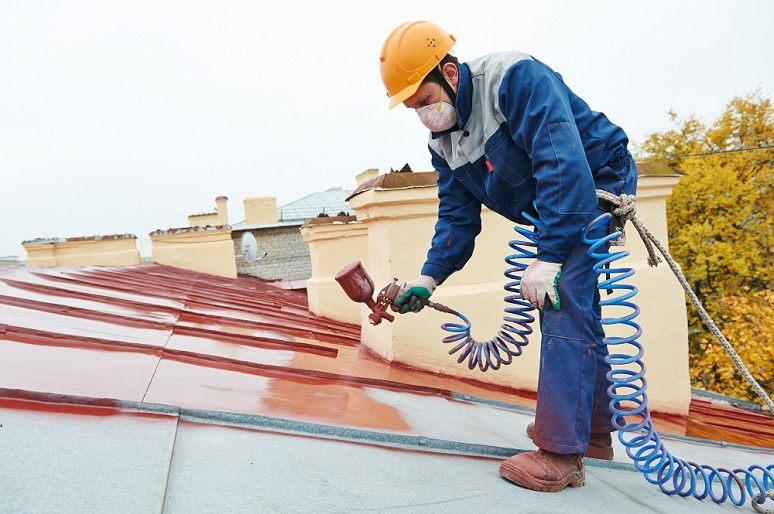 Roof painting is the harbinger of new leash of life to your property and can ensure good health and a happy looking house. Selecting the right individuals to carry out the work can assure to you that full-proof, good quality work.